"My job is to approach every task with a global perspective, leveraging diverse viewpoints and skills to provide the best solution." 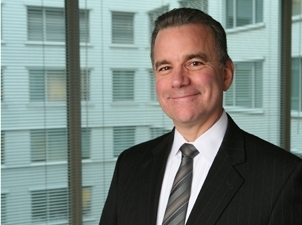 Joseph E. Shipley has earned a highly regarded reputation for handling complex IP matters worldwide, assisting clients with freedom-to-operate opinions, preparation and prosecution of patent and trademark applications, licensing and other transactions, global IP strategies, portfolio management, and litigation, among other services. His clients range from small privately held businesses to large publicly traded global corporations. Joe has extensive experience with due diligence in connection with product development, including the interplay between various forms of IP protection and the functional and aesthetic aspects of consumer products and their packaging. He also often works on the management of large global patent portfolios, including optimization of international patent strategies. Joe has been a leader in the IP professional community for many years. He is an adjunct professor at the University of Illinois, has served on the faculty of the Practicing Law Institute, and has lectured at the Northwestern University School of Law and at the DePaul University College of Law. “Patent Reexaminations in Parallel with Litigation,” Fitch Even Webinar, February 22, 2012. “Parallel Patent Reexaminations,” Practising Law Institute, Chicago, October 13, 2011. Adjunct Professor, University of Illinois College of Law, Patent Defenses course (2011 to present). “Advanced Patent Licensing,” Practising Law Institute, New York, May 28, 2008. “Ramifications of KSR v Teleflex,” Northwestern University School of Law, Chicago, January 18, 2008 (Panelist). “Handling Intellectual Property Issues in Business Transactions,” Practising Law Institute, Chicago, 2004. “Protection of Product Configuration & Design,” Chicago Bar Association, March 3, 1998.